Fasting during Navratri days can be healthy too !!! 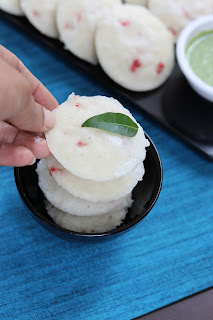 See this unique recipe of Instant Idli for vrat/upwas, made from Samak Atta /Moraiyo/ Sama ke Chawal. 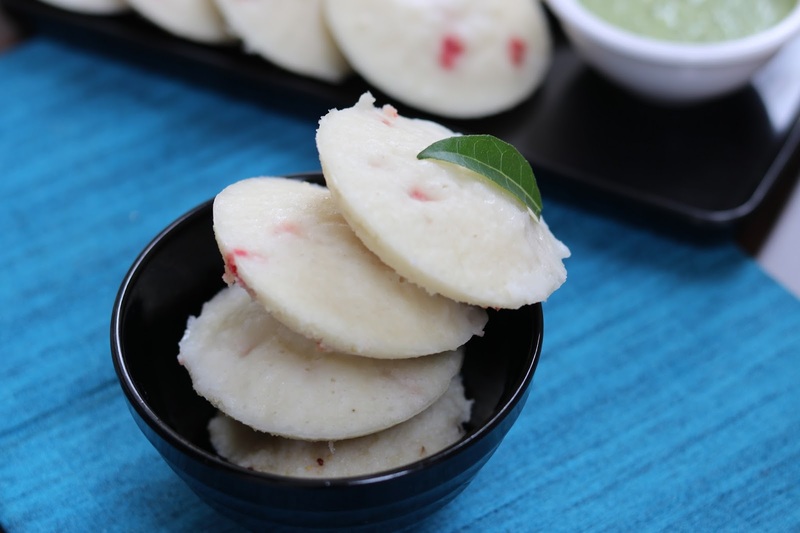 These idli recipe can be made for fasting or for regular days too. Moraiyo/ Varai flour/ Bhagar / Samak atta is used for making this Navratri special recipe during fasting days in India. Watch this step by step video recipe of How to make Instant Upvas Special Idli. 1. In a mixer grinder jar, coarsely grind sago seeds. 2. In a bowl, mix all the ingredients except beetroot and eno. Prepare a semi thick batter like idli batter. Allow the batter to rest for 10 -15 min. 3. Then add beetroot along with eno. Mix nicely and pour ladderful on batter in greased idli moulds. 4. Steam idli for 10 on high flame and 5 min on low flame. 5. Soft idli are ready to serve with coconut chutney.